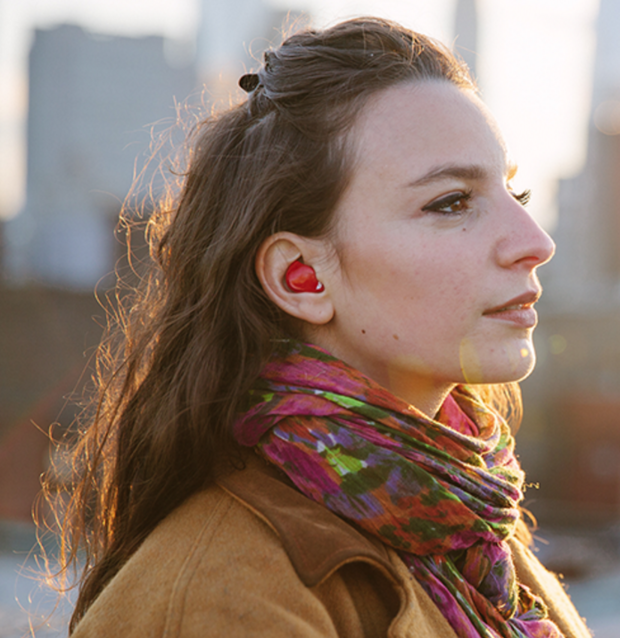 As crowdfunding campaigns go, you can't do much better than New York Waverly Labs, which last week introduced a wireless earbud that acts as a real-time language translator between two people. 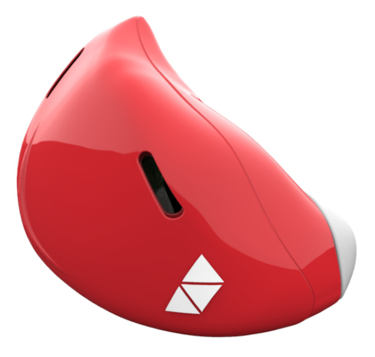 Just five days into the campaign, the Pilot smart earpiece has garnered nearly $1.9 million through more than 8,300 backers on Indiegogo; that's 2,479% more than Waverly Labs' 30-day goal. The Pilot earbud as it appears when worn. Considering the potential of the technology, it's not surprising the Indiegogo crowdfunding campaign has gone so well. 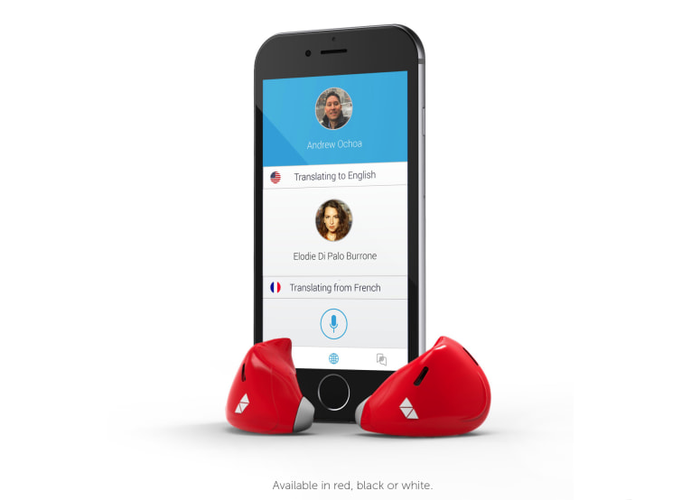 The Pilot earpiece uses speech recognition and machine translation to enable wearers to speak different languages but still clearly understand each other. "Simply put, when one person speaks, the other hears it in their language," Waverly Labs states on its Indiegogo campaign page. Whether that claim can be believed is another thing. In a recent article in Forbes.com, Waverly Labs founder and CEO Andrew Ochoa appeared to backtrack a bit on some of the Indiegogo campaign's claims of real-time conversation translation. "We don't want to make any promises or references that this is incredibly real-time or that we could give you an earpiece and drop you off in the middle of Tokyo. That is not what we're trying to convey at all," Ochoa said. Ochoa went on to explain that the Pilot's translation "lags much more than Skypes' latest translation engine does." Ochoa's online resume is thin. On his Linked-In profile, there is no academic or professional background listed. He has a mere 238 followers of his Twitter profile, and again there is little background information included. The technology that enables the Pilot is "hybrid," Ochoa told Forbes, explaining that some of it was created by Waverly Labs' six-person development team, and the rest of it was licensed software. Ochoa did not immediately respond to a request for comment from Computerworld. Waverly Labs, however, appears to have some creative talent. The company's co-founder and director of hardware and operations is Jainam Shah, a mechanical engineer who worked as a research assistant at the Illinois Institute of Technology from 2011 through 2013 developing "electrostatic adhesion technology for climbing and perching robots." Along with his role at Waverly Labs, Shah also is a project engineer and programmer for Delta Controls Chicago Inc., where he works on HVAC systems, according to his LinkedIn profile. William Goethals, Waverly Labs' electrical engineer and manufacturing design expert, was a systems engineer at Honeywell Aerospace from 2008 through 2013. After that, he did a short stint as the CTO for One Degree Solar, a venture-backed solar power technology company in Nairobi, Kenya. When the Pilot begins shipping in May 2017, it will initially only translate English, Spanish, French, Italian and Portuguese. Shortly thereafter, new languages will be made available for download through a mobile app; those will include German, Hebrew, Arabic, Russian, Slavic and East Asian and African languages, Waverly Labs said. Many of the Indiegogo "early bird" special pricing offers have already sold out, including a $179 price. 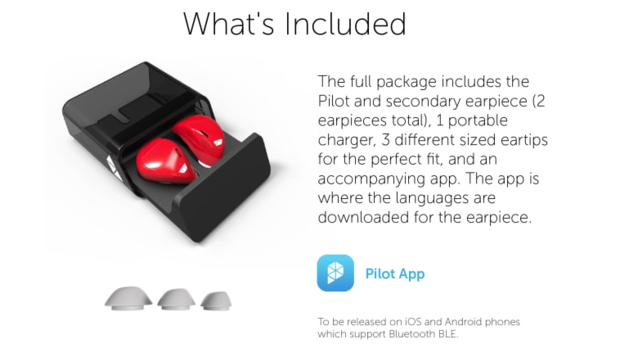 Waverly Labs is still offering the Pilot for $199, which is 33% below the expected $265 retail price and includes two earpieces, a portable charger and a mobile app. The Pilot comes with three different sized ear tips to fit various ear sizes. 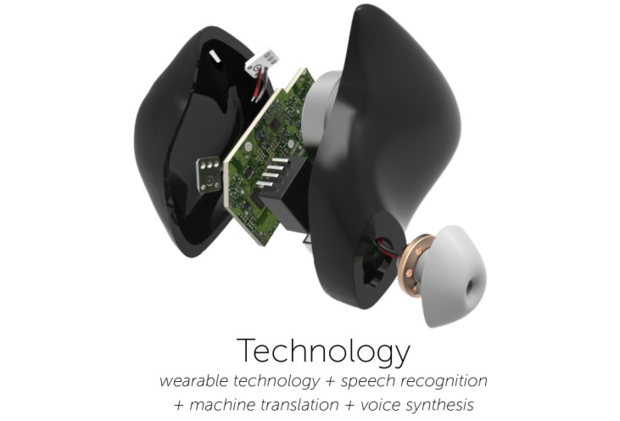 The earpiece uses a rechargeable lithium-ion battery that enables a four- to six-hour talk time. The Pilot works through a smart phone app that toggles between languages and uploads them to the earpiece when in use. The earpiece uses noise cancelling microphones to filter out ambient noise from the conversation. The conversation is picked up by a wearer's smartphone, which performs the translation and uses Bluetooth to transmit it to the earpiece. Waverly Labs claims the translation of a conversation occurs simultaneously "without interruption," as people speak to one another. For basic translation, the Pilot mobile app can also be used as a phrase book for multiple languages. The app also includes a "conference mode," which allows multiple people to wear an earpiece and join in on the same conversation - "even if they're all speaking different languages," Waverly Labs said. A close-up view of the Pilot earbud. A smartphone using the Pilot's translation mobile app can also be set to speaker mode in order for anyone in a room to hear what a wearer is saying in a specific language. Along with translating languages, the pilot has a secondary earpiece that can be used for streaming music to either yourself or someone else with whom you're speaking. Waverly Labs states that it has been developing the Pilot since June 2014, when it opened a concept and feasibility study. The first machine translation software prototype was developed a year ago and a design prototype was created last month.